Syrian President Bashar al-Assad’s air force has again used cluster munitions, this time leaving 10 children dead hours after Syrian rebels captured a helicopter base just outside Damascus on Sunday. The children were killed in the village of Deir al-Asafeer. 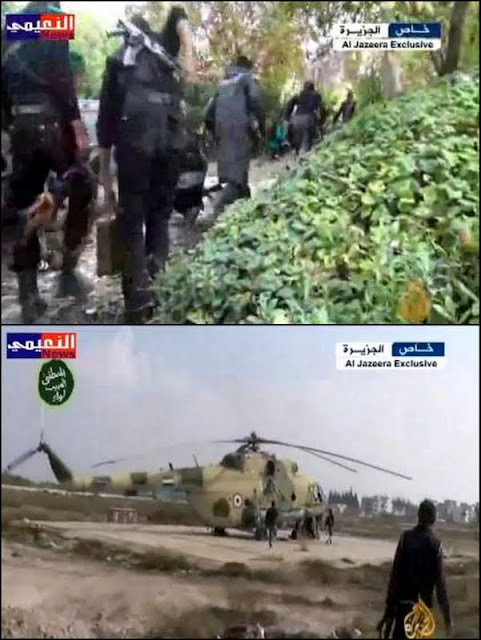 The Marj al-Sultan helicopter base that was stormed by the rebels and Deir al-Asafeer are both on the outskirts of Assad’s seat of power in the capital. The 10 children were killed when a MiG fighter bombed a playground in Deir al-Asafeer, east of Damascus, opposition activists said. 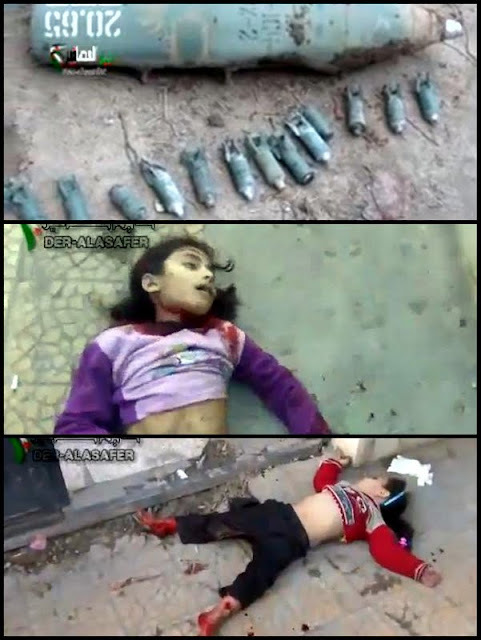 Video posted on the Internet showed cluster bomblets as well as children bodies on the ground. The bodies of two bloodied dead boys were in the back seat of a car parked nearby. Several other wounded children were seen rushed for treatment. Two cluster bombs were dropped on the village, activists said. One man told Reuters 70 bomblets had been found. "None of those killed was older than 15 years old," Abu Kassem, an activist in Deir al-Asafeer told the news agency. He said 15 people had been wounded in the attack and denied that rebel fighters were inside the village. They had been operating on the outskirts, he said. Deir al-Asafeer lies some 12 kilometers southeast of Damascus and has a population of about 7,000. The picturesque village is renowned for its clement weather and its dairy products and fruits, chiefly fresh and dried apricots. Rebel fighters captured Marj al-Sultan helicopter base, not far from Deir al-Asafeer, hours earlier. They destroyed two helicopters with RPGs and took 15 prisoners and ammunition before withdrawing for fear of counterstrikes by regime warplanes. Videos posted online showed at least three other undamaged helicopters and several radar posts on hills as rebels roamed freely inside the large compound. Rebels have been attacking air bases in different parts of Syria, mostly in the northern regions of Idlib and Aleppo. "We are seeing the starting signs of a rebel siege of Damascus," veteran opposition campaigner Fawaz Tello told Reuters from Berlin. "Marj al-Sultan is very near to the Damascus Airport road and to the airport itself. The rebels appear to be heading toward cutting this as well as the main northern artery to Aleppo." The village of Marj al-Sultan is 18 kilometers southeast of Damascus and has a population of 2,500, most of them of Caucasian origin. The village was named Marj al-Sultan because it was the spot where Ottoman Sultan Abdulhamid pastured his horses.